Montreal police probably rolled their eyes at the idiot who parked their snow-covered early ‘90s Toyota Supra right in a snow-removal lane, completely blocking in other parked cars. They went to ticket the car, and got to the point of lifting its very real windshield wiper when they realized, hey, this isn’t a snow-covered car—it’s a snow pile shaped like a car. Ooooh! Zing! 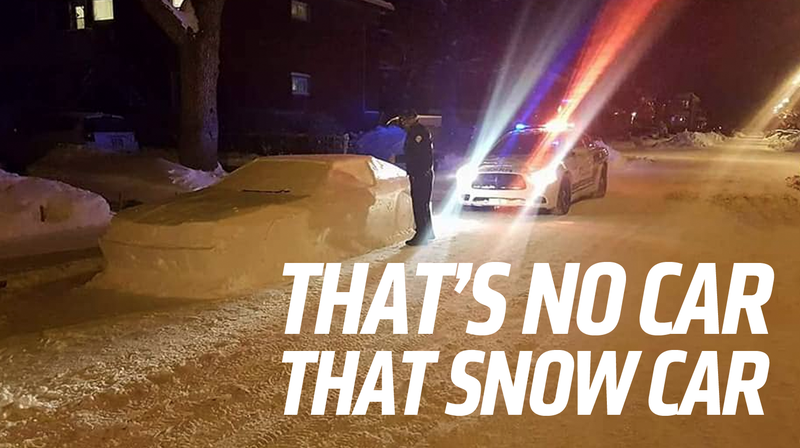 That snow-sculpture of a car, cunningly placed for maximum police confusion, was the work of 33-year-old machinist and artist who goes by Simpon Laprise, or, sometimes, Laprise Simon. What really sells the car, the real punctum of the whole thing, is that Laprise just happened to find a discarded windshield wiper on the road, and placed it in its proper spot on the snow car. This one tiny but of actual car-matter on the snow car goes a long way to making you question if there’s a real car under there. It worked especially well for some Montreal police, who approached the car to ticket it for being illegally parked. I’m not exactly sure when the confusion began, but I’m guessing it happened when the officer lifted the wiper to place the ticket and realized that there was no car under the snow. Another cop was called in, but I think not so much for back up as it was so that they could appreciate the masterful snow-rouse that was happening. 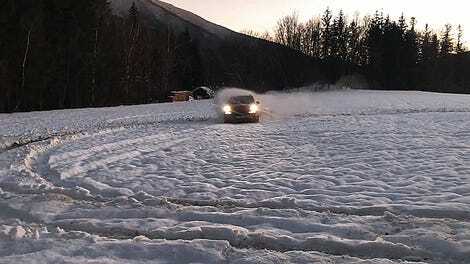 You gotta respect the effort that goes in to a convincing 1:1-scale snow-Supra. Laprise’s car snowsculpture and lighthearted fool-the-cops gag has gone viral, and Laprise has been inundated with messages and attention. I mean, it should. That’s a hell of a snow-car there.